What is global leadership? It turns out that companies around the world are missing a key point: that global leadership is distinctly different from the leadership skills needed in a hierarchical, command-and-control domestic operation. The global economy requires a new set of leadership skills-vertical, cross-functional and across cultures and nationalities-that were not as critical even a decade ago. 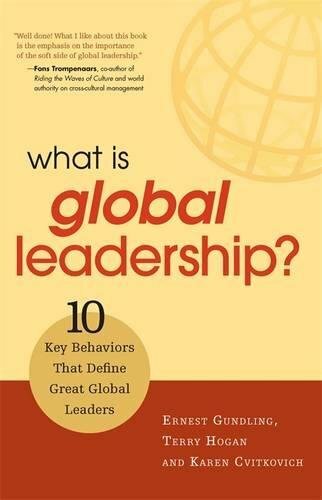 In What Is Global Leadership?, the authors draw on cutting-edge research conducted by Aperian Global, as well as first-hand interviews with successful global leaders, which highlights 10 key behaviors critical to international settings. Whether one is leading an entire organization, a business unit or a geographically dispersed team, this essential guide provides an important resource for developing global leadership talent.